Pros: it's compact,easy to load and clean. Had own one in the 70's,love it then and love it now. Delivery was really fast. Comments: Please go shopping on this site. I had fun and will be making another purchase soon. 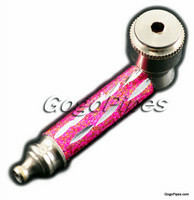 Pros: this is a great pipe, I had one that lasted years (back in the 70's) was so happy to find this site. And I just ordered another one. Cons: none, easy to use.